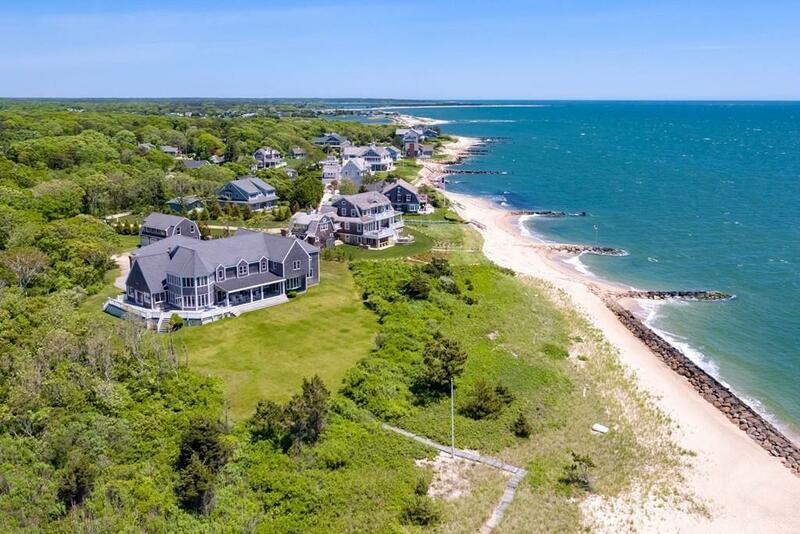 Privacy abounds on this almost seven-acre estate with direct frontage on Vineyard Sound and protected deep water dock on Green Harbor. From sunrise to sunset, enjoy magnificent views over the sparkling waters of the Sound. Stroll the lengthy private sandy beach and enjoy boating activity from the protected dock. This rare property offers a palette to build your dream home. The current 8, 000+ square foot home with three-car garage, to be sold in as is condition, could be renovated and updated to meet your needs. A detached three-bay garage offers additional opportunities and storage for all your boating needs. Swim, fish, wander the beach, enjoy the vistas, and boat all from the seclusion and solitude of this special haven.